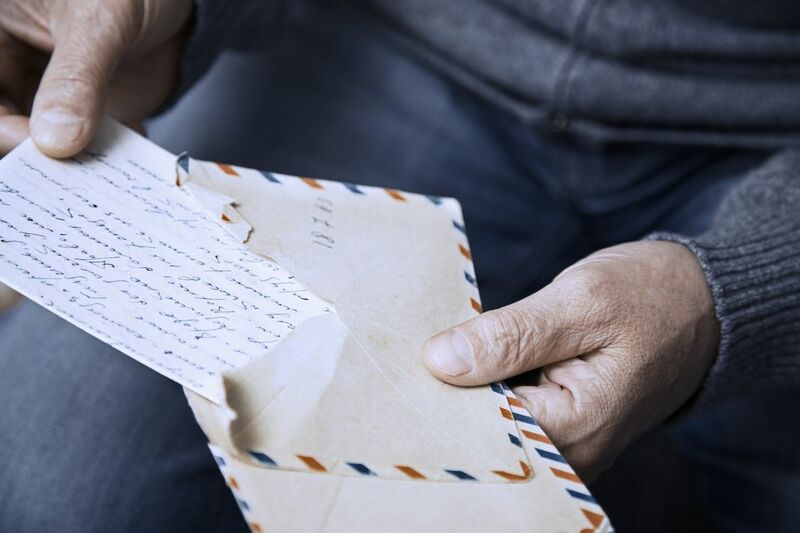 Even if you typically have the gift of gab, you may be at a loss for what to write in a message to survivors after someone they care about passes away. This is almost always difficult because you don't want to say the wrong thing, even though you want to offer condolences. Most people have the same problem, but it's important to show that you care. Remember that a sympathy message can provide quite a bit of comfort to the survivors. It isn't necessary to write pages and pages when you are trying to convey your sympathy. Just remember that a short, well thought out message from the heart is better than a long one that rambles. The survivors are already grieving, and they probably don't have the time or desire to read everything you're thinking. There is no need to go on and on about how much you'll miss the deceased. Make your message succinct but heartfelt. You should always mention the name of the person or the family in the opening. For example, you can write "Dear Chambers Family" or "Dearest Susan." Here are some brief but heartfelt comments that you can add to a greeting card's printed message or write on blank stationery. I just heard of your uncle's passing, and I am deeply saddened by your loss. Please know that I am here for you if you'd like to talk. Losing a loved one is difficult. I'll keep you in my thoughts and prayers. I'm thinking of you during this time of sorrow. Don't hesitate to call if you need me. My heart aches for you and your family. I'll never forget your father's generosity and graciousness. Our family is deeply saddened by the loss of your grandfather. He was such a wise man who never seemed to mind sharing his knowledge with anyone who asked for advice. Your husband was such a valuable asset to our company, and we all feel the loss very deeply. Please accept our condolences, and know that our thoughts and prayers are with you during this difficult time. I'm heartbroken about your loss. If there is anything I can do, please let me know. In the meantime, I'd like to deliver a meal so you won't have to worry about cooking. I'll be calling soon. I'm sorry you're going through this difficult time, and I'm praying for peace for you and your family. I'll always have fond memories of your mother. Her quick smile and positive attitude always cheered me up. Everyone who knew her will miss her. If you are sending a sympathy gift, you may mention that. You can add something like, "Here is a gift basket filled with some of your favorite teas. I hope this provides some comfort during this difficult time." You may also choose to attach the note to some flowers or a live plant. There is no need to get too creative or cute with what you send. Sympathy gifts are simply a way of expressing your condolences in a more concrete manner. Sometimes people feel the urge to say much more than they need to, and that often leads to saying the wrong thing. Here are some things you don't need to mention. After you jot down your brief message, add a closing that further expresses your sympathy, without being redundant. Here are some examples.